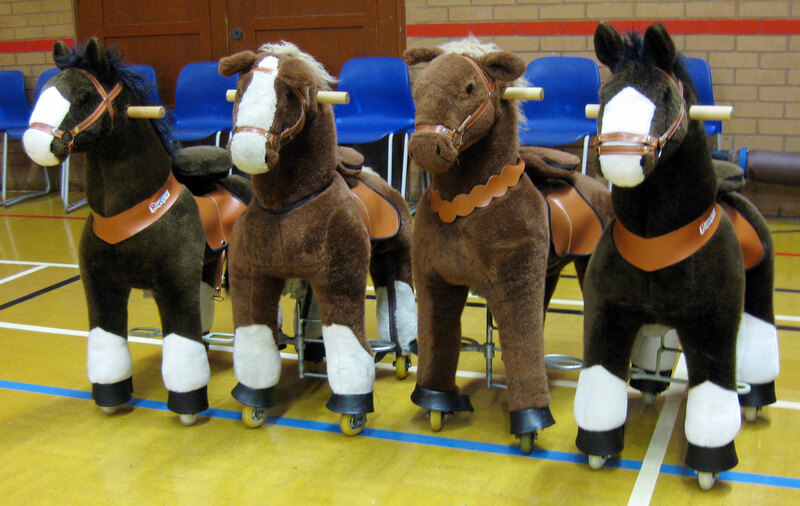 The next best thing to horse riding, better than a rocking horse as you can actually ride them just like real ones! Simply push down on the stirrups and go up and down in the saddle and they move across the floor-the faster you go up and down the faster they go. Wow! What fun, a great addition to any party. Suitable for both boys and girls aged 4-7 years old. I was first recommended Go Kart Kids by a friend a few years ago, since then I have had three parties with them. Two go kart parties and more recently, now my daughter is old enough, a Quad bike party. They were all great fun and run in an extremely safe, organised and professional manor. All I had to do was organise the food, they did everything else. The children are kept entertained the whole time and at the last party we had the Rodeo bull which proved to be a great hit with the children. I would thoroughly recommend Go Kart Kids for a hassle free fun party.